Portuguese champions Porto have been excluded from next season's Champions League over alleged bribery of referees in the 2003/04 season. The allegations relate to Porto's 2-0 win against Estrela da Amadora and their 0-0 draw with Beira Mar. Porto won their domestic title and the Champions League in 2003/04 under their former coach Jose Mourinho, who has not been mentioned in any allegations. The club has already confirmed it will appeal against Uefa's decision. Last month, Porto were found guilty by the Portuguese league of fixing the two league matches in question, which were part of the "Golden Whistle" investigation. 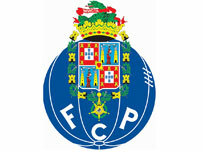 As a result Porto were fined 150,000 Euros and docked six points, but they decided not to appeal against that decision on the grounds the club had a substantial lead in the league. The punishment did not affect final standings as Porto still won last season's title for the third time in a row, 14 points ahead of Sporting Lisbon. However, the club's president Jorge Pinto da Costa has appealed against a two-year suspension and he will go to trial in a civil lawsuit by Porto prosecutors. Uefa director of communications William Gaillard told BBC Radio 5 Live: "We have taken this decision because a Portuguese court has actually sentenced FC Porto and its president. "The president has appealed against the decision but the club itself has not appealed and therefore this is a sentence that stands and under our statutes, we felt obliged to ban them from next year's Champions League. "I don't think it will affect Porto's status as champions of Europe in 2004, this is not something that has come up in the recent debates that we had among our legal experts. "Porto can appeal within three days of receiving the motivations of the sentence, if it lost that appeal of course we would then replace Porto with the runners-up." Previously AC Milan were excluded from the Champions League in 2006 following the investigation in to corruption in Italian football that saw Juventus relegated. But they successfully appealed against the decision and went on to win the competition. The affair in Portugal, which came to light in April 2004, also resulted in five referees being suspended for periods between two-and-a-half and six years. The referees were found guilty of accepting the offer of prostitutes after matches, while in once case an official received 2,500 Euros prior to a match. Boavista were relegated to the second division for their part in the match-fixing.